Yesterday was my last day in the office. Really miss my nice and friendly colleagues. Hopefully can meet some nice and friendly colleague from my new company again. Oh probably some pretty female colleagues too! Thanks everyone for ur lunch! Clickbank accept Malaysia registration now! Yes no joke, ClickBank is accepting malaysia registration. 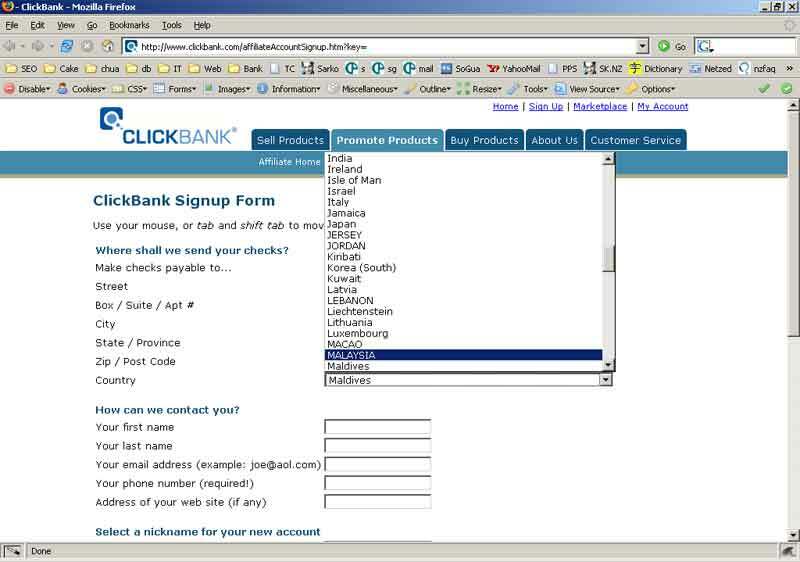 Previously, you can’t find Malaysia in ClickBank registration Country field. they normally will buy a singapore virtual office and register using that virtual office address. you can save big bucks and do not need to purchase any virtual office! Malaysia has been shown in the Clickbank registration country field!